Amazon has been a significant change agent and disruptor to many of the industries it’s touched ever since they started selling books online 24 years ago. In that time, Amazon has become one of the biggest retail brands in the world, in many ways eclipsing Walmart, Target, Costco, Macy’s and Kohl’s combined. So, when Amazon dips its toe into the pool to test something out, the ripples have the potential to grow into a tsunami on the affected industry. Just look at what’s happened to bookstores over the past decade or so. Just the sheer number of packages that are shipped in the name of Amazon has had an enormous impact on the United States Postal Service, UPS and FedEx. There are far more packages going through the mail and more trucks on the road to accommodate them. However, when Amazon had a tough time meeting its holiday delivery deadlines in 2014, their solution was to buy a fleet of planes and semi-trucks. 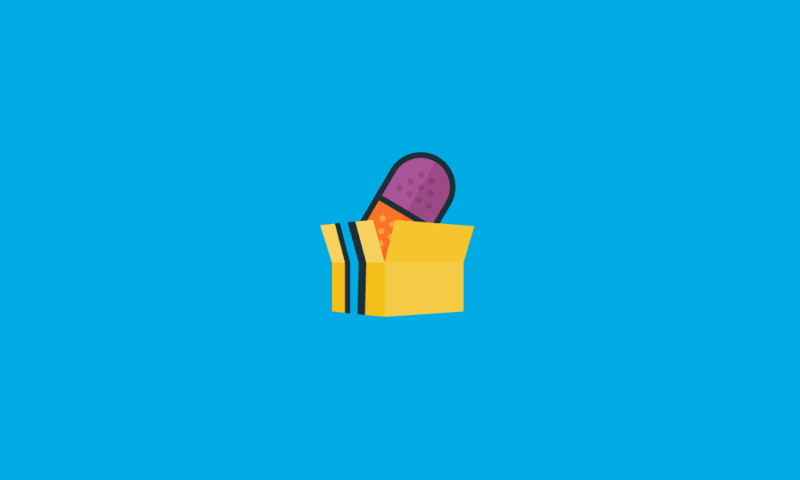 This prompted those major carriers to sit up and take notice, knowing that if they wanted to be able to keep as much of Amazon’s business as possible (and maybe stave off an Amazon takeover of their industry), they needed to improve their performance. When Amazon started selling groceries online, grocery brands didn’t quite feel the pinch right away as it was mostly consumer packaged goods. Once Amazon bought Whole Foods, though, their grocery game got much more serious, and food retailers snapped to attention. They’ve begun updating their offerings to include online ordering, curbside pickup, and even two-hour delivery, among a variety of other food-related services that Amazon doesn’t offer – yet. Now Amazon is looking at the drug and pharmaceutical supply chain. Amazon is already selling some over-the-counter medicines and personal products through its Basic Care line, having entered a relationship with Dublin-based Perrigo. They offer items like ibuprofen and acetaminophen, laxatives, hair growth treatments, nicotine gum and feminine hygiene products, all packaged under the Basic Care line. Last year, Amazon secured whole pharmacy licenses in 12 states, although it doesn’t necessarily help them with drug distribution, it does support their existing medical equipment business. Then in February 2018, Amazon announced that they were going to look for ways to reduce healthcare costs for their employees – and with the size of their workforce, their plans could once again bring a revolutionary approach to a complex industry. This combination of both an internal and external approach should have those in the pharmaceutical supply chain and parts of the healthcare service industry paying close attention to what’s happening. We’ve previously talked about what EDI can do for the healthcare supply chain and traceability, helping pharmaceutical companies, suppliers and retailers all keep track of product information, lot numbers, expiration dates and more all in the name of traceability. In fact, traceability has become a substantial benefit of using an EDI system, especially in light of new and progressively strict regulations. If Amazon gets into the prescription drug supply chain or market, it could have a significant disruptive effect on pharmaceuticals traceability and distributions (which could even potentially have a positive impact on the opioid crisis). After all, Amazon is into solving problems; that’s been the whole foundation of its business: see a problem, try to fix it, make people happy. Maybe they fail a few times or have to postpone success (we’re still waiting for same-day drone deliveries), but they often find a workable solution to the problem that ends up being very profitable for them. Their goal is to get the right stuff to the right places, which means it would be a natural fit for helping to disrupt the status quo of the pharmaceutical supply chain and sales process. Imagine what Amazon’s artificial intelligence and machine learning can do to help find efficiencies within the pharmaceutical world. Alternatively, if they could use customer data to help promote other products, such as identifying “a patient with depression is also seeking out self-help books, or particular products,” Linda Pissot Reig of Buchanan, Ingersoll & Rooney, PC, a Pittsburgh-based law firm, said in a 2017 MarketWatch story. That may or may not creep you out, but it’s been proven time and time again that consumers are willing to share their information to get a more personalized experience. In the end, Amazon doesn’t even have to get into the pharmaceutical market themselves to have an impact: just buying Whole Foods last year hammered pharmaceutical stocks, amounting to nearly $10 billion in market cap losses. By developing the technology and the supply chain knowledge, they can make inroads into that industry and cause profitability disruptions along the way. Currently, the healthcare industry is pretty tight-lipped about pricing and compensation for everyone involved. Amazon could bring a lot of that knowledge and transparency to the forefront, disrupting how and how much everyone gets paid. Also, things will only get more price competitive and efficient if they ever decide they want to (and can) sell prescription drugs available online. Of course, this means smaller players in the pharmaceutical supply chain and healthcare industries are going to have to scramble to keep ahead of the tidal wave of change that Amazon’s toe-in-the-water will bring. If you want to learn how to ride the wave, SPS Commerce solutions can help. 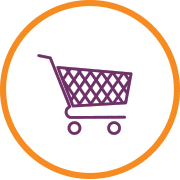 To learn more about or EDI, our Retail Network and our sales analytics products, please visit the SPS website or contact one of our supply chain experts.